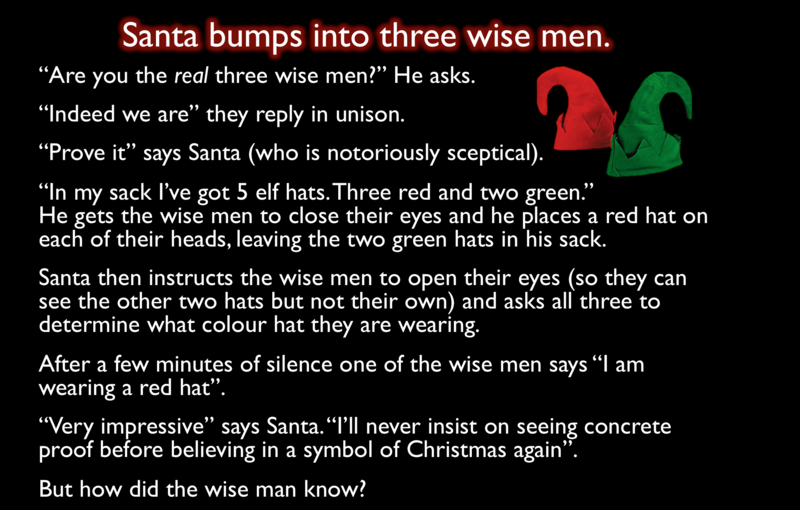 As you’ll have gathered, one of the fundamental principles of our book is the absolute and unquestionable truth of Santa’s existence. 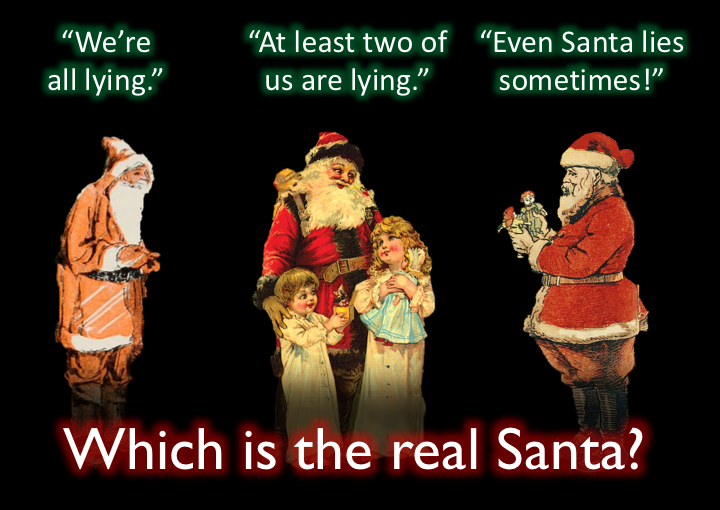 However, even if you know that the big fellow is real, that doesn’t necessarily mean he’s easy to spot. 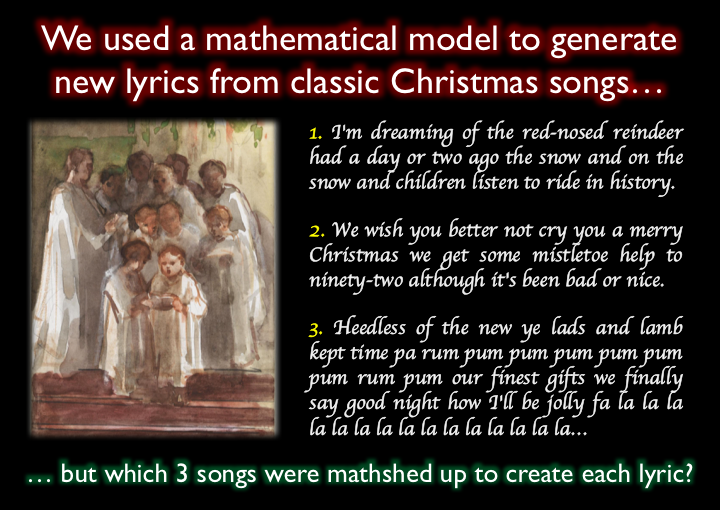 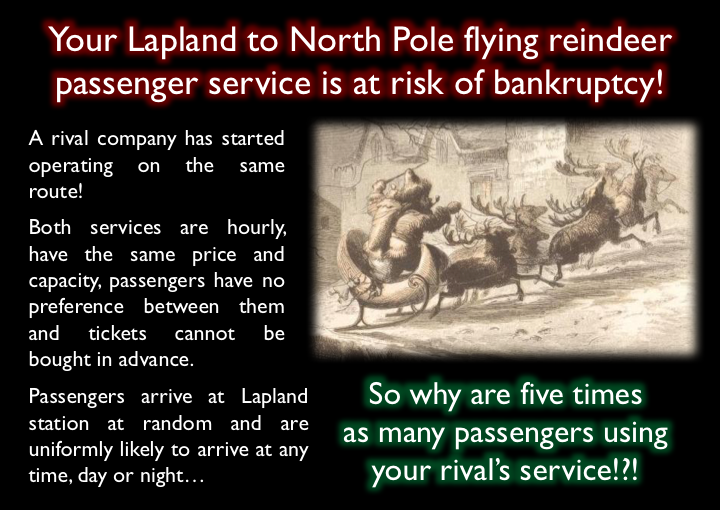 For example, one of these three is Santa… but which one? 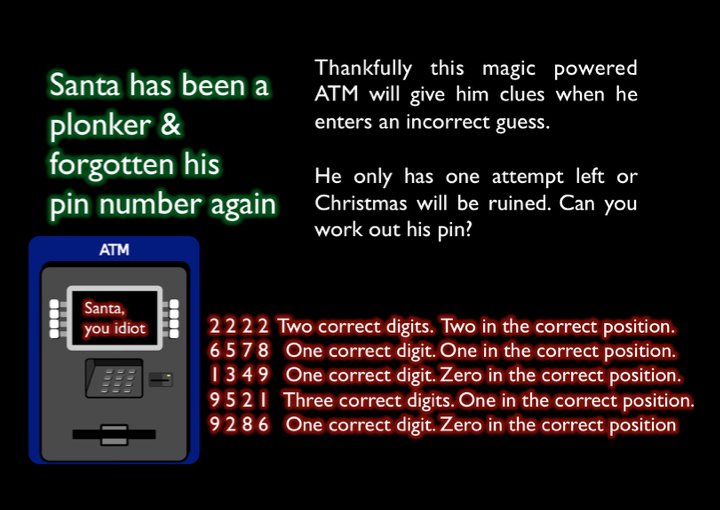 This entry was posted in Maths, Puzzles and tagged advent calendar, Christmas, Christmaths, Maths, Puzzle, Puzzles, The Indisputable Existence of Santa Claus on December 12, 2016 by thomas. 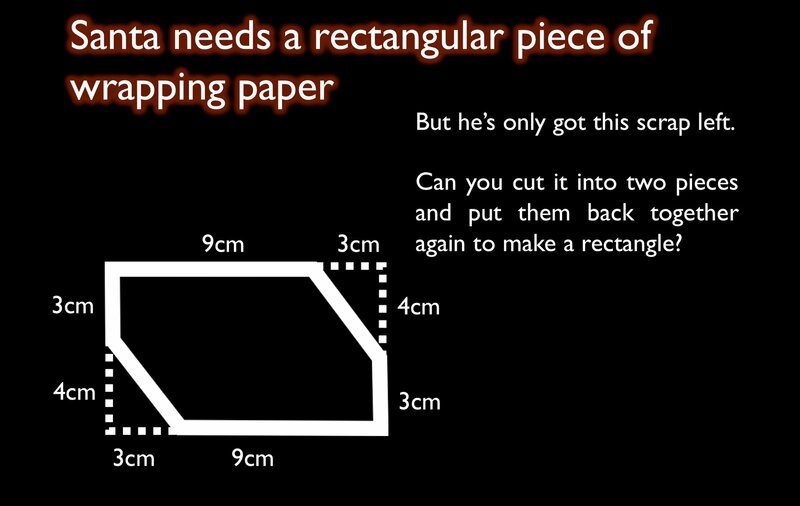 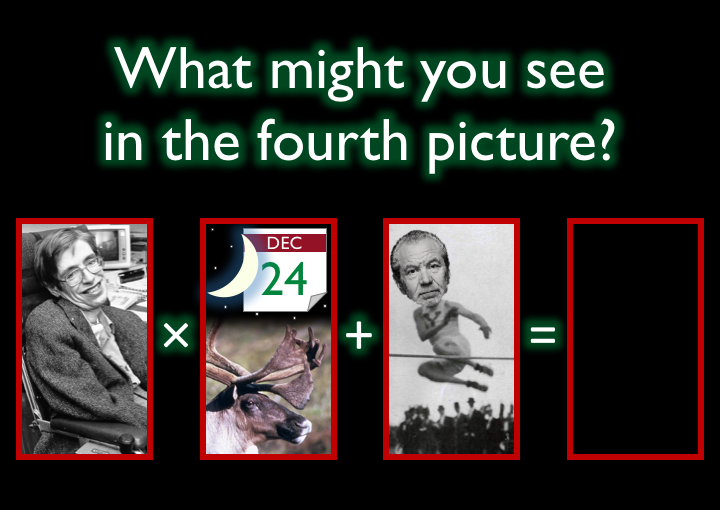 We’ll reveal the answer to Friday’s tough Elfnigma tomorrow, so there’s still time to have a go at that one too. 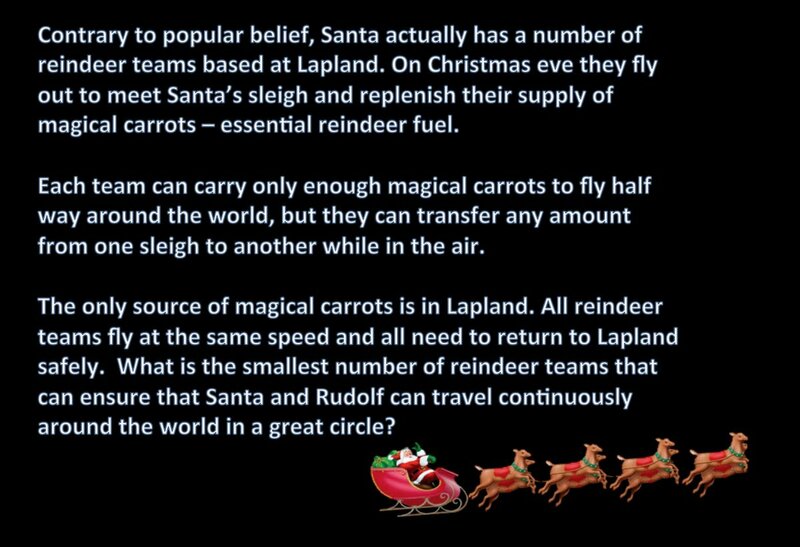 This entry was posted in Maths, Puzzles and tagged advent calendar, Christmas, Christmaths, Maths, Puzzle, Puzzles, The Indisputable Existence of Santa Claus on December 11, 2016 by thomas. 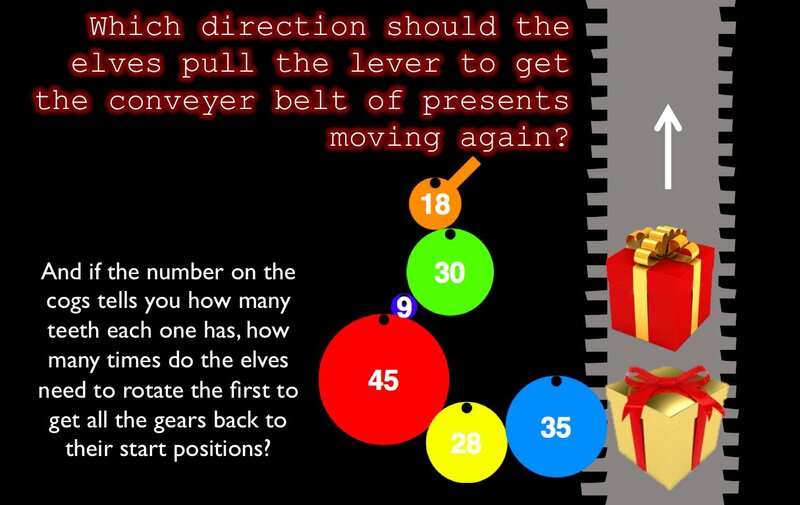 There’s a couple of days before we reveal the answer to the tough Elfnigma from yesterday, so there’s still time to have a go at that one. 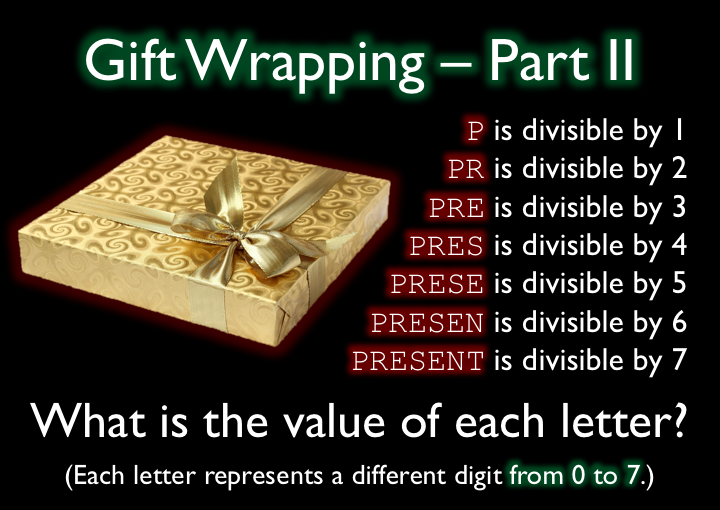 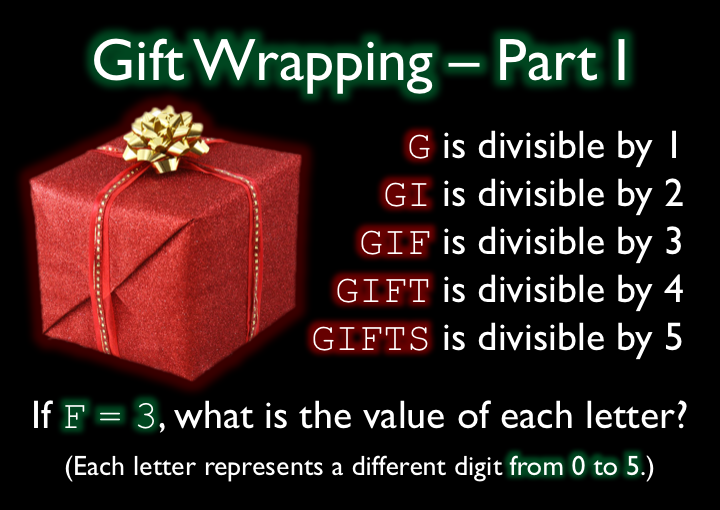 This entry was posted in Maths, Puzzles and tagged advent calendar, Christmas, Christmaths, Maths, Puzzle, Puzzles, The Indisputable Existence of Santa Claus on December 10, 2016 by thomas.